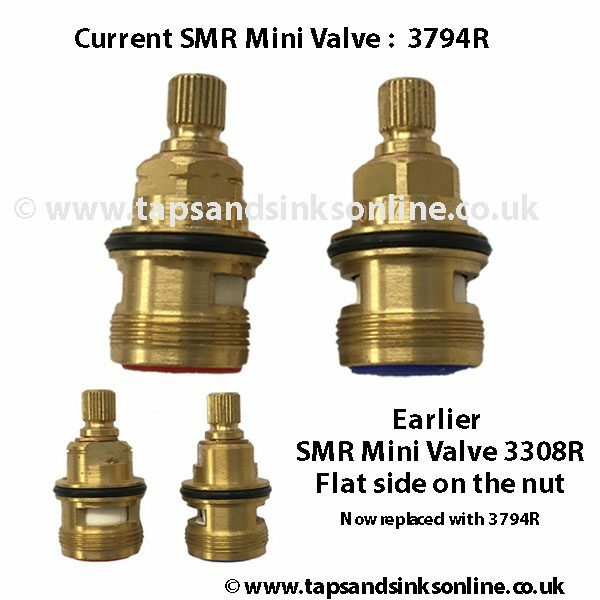 When your Tap was first produced the manufacturer used a valve which had 2 flat sides on the nut (3308R). 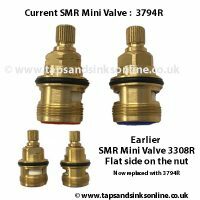 This Valve has been discontinued and the manufacturer now uses a very similar valve with a six sided nut, 3794R. The Hot and Cold Valve are not interchangeable as the Hot opens clockwise and the Cold opens anti-clockwise. 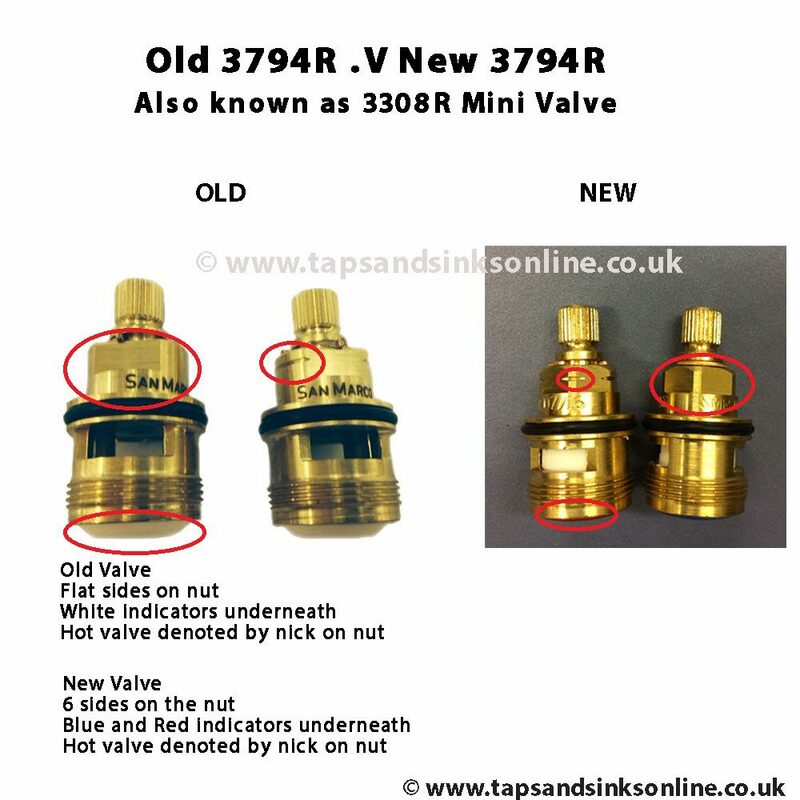 Depending on when your Tap was produced you might have either the earlier 3308R or the later 3794R Valve in your Tap. Why is this relevant ? 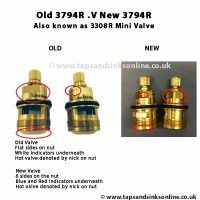 Some customers have reported difficulty removing the 3308R valve. 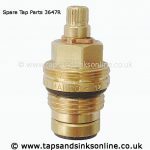 You can try a mechanics long socket and ratchet tool to remove the Valve from this Tap OR We have a specially designed SP3308 Valve Removal Tool from the Tap Manufacturer to remove it here. The later Valve 3794R can be removed with a spanner or a size 14 Hex Key. 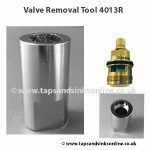 Removing your own Handle will tell you WHICH valve you have and this might be a good idea to do prior to ordering the replacement valve i.e to check whether you need this removal tool or not. Whichever Valve is in your Tap, you will receive the current 3794R (six sided valve) as the replacement as the earlier 3308R Valve has been discontinued. 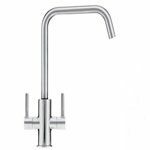 This is a change by the Manufacturer of your Tap (not us). 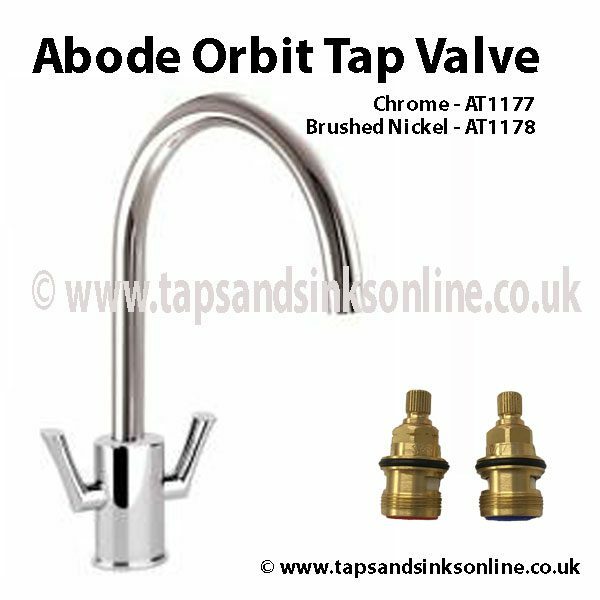 No Brass Bush is required with this Tap Valve. 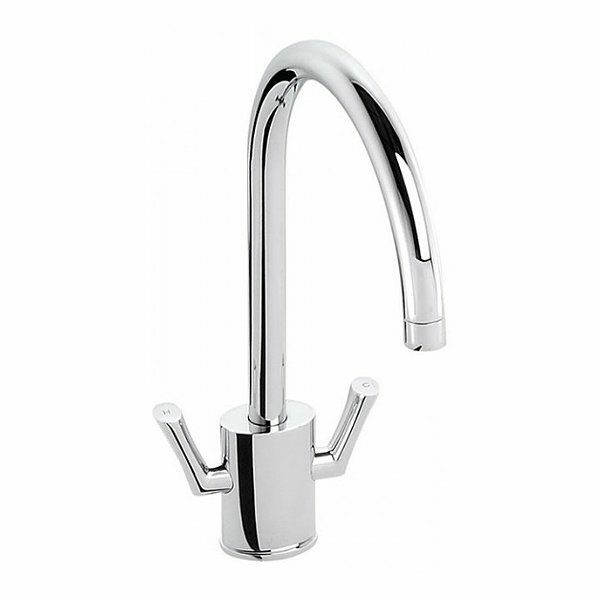 Recently we have noticed that the new valve is a little stiffer to push the handle onto. 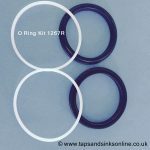 We have reported this back to the manufacturer but they assure us that there have been no changes of any consequence and it is just to do with the tolerance on the machining of the valves. 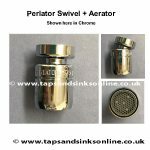 If this does occur we would simply recommend ensuring that your own handle is clear inside of any residual debris and that you push the handle on and off the new valve a few times to loosen the splines slightly. You won’t damage your handle. Tightening your valve: We would also recommend that you do NOT overtighten this valve. As a rule of thumb, tighten as far as physically possible by hand, and then tighten 1/4 turn with an adjustable spanner. The Hot and Cold Valve are not interchangeable as the Hot opens clockwise and the Cold opens anti-clockwise. 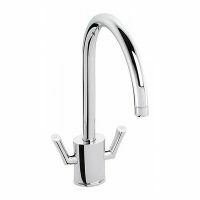 Here is our Guide: 7 easy steps to replace Kitchen Tap Valve. 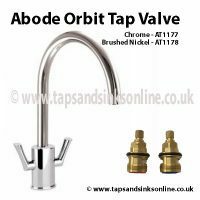 If your Abode Orbit Tap Valve is dripping where the Tap Spout meets the Base you might need to replace your Abode Orbit O Ring Kit.